« Why Not Embody Grace In Motion? I was introduced to TI, and amazing TI-UK Coach Tracey Baumann, after attempting my first triathlon and almost failing to finish the swim. I’d thought I was a ‘good-enough’ swimmer but the first 50 meters said otherwise. I managed to survive 400 meters but the next day I began looking for swim help and found TI and Tracey. My life has not been the same since. The impact that TI has had on my swim, my thought process, my approach to training–and indeed my entire family–is amazing. In the past 18 months, I’ve gone from an exhausting and unpleasant windmill stroke to being reluctant to leave the water after an hour of immersive practice. And understanding how swimming ‘works’ is empowering. TI’s Kaizen philosophy has become a guide for living. 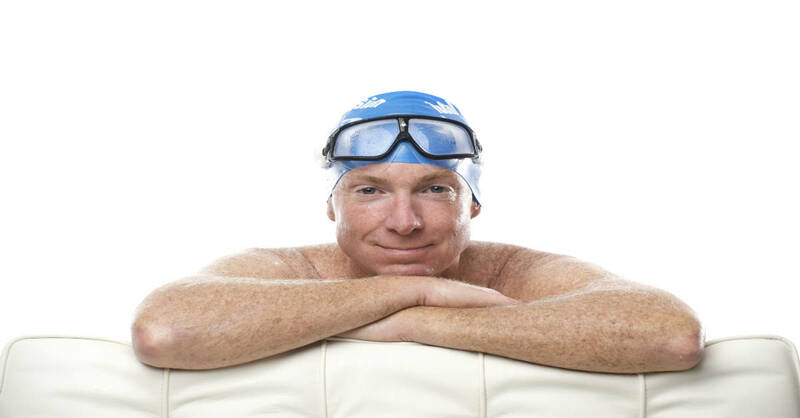 While I’m a far better swimmer than I was juat last year, I feel I’ve barely scratched the surface and expect to be better yet in 10, 20—even 50!–years. Every member of our family has embraced TI practice. My husband—who, just last year, was so water phobic he clung to the side of a 1-meter deep Endless Pool—now competes confidently in open water triathlons. Our 8-year old swims with us in open water and in the pool. And we practice together, helping each other toward improvement – as healthful a pastime as any family could share. Experiencing this stunning transformation made me realise that helping others experience the same transformation is something I’m passionate about. Helping people set and achieve goals, giving them the skills and knowledge to swim with grace, ease and enjoyment, to understand what works, and show them how they can continually improve is a precious gift. I find it nearly impossible to resist the urge to stop every non-TI swimmer I see and try to enlighten them! I’ve already helped several others learn they can rather than can’t and–since completing the TI Coach Certification Course http://www.totalimmersion.net/become-a-ti-coach in Windsor England on Oct 20–I can’t wait to begin enriching even more lives! Focus on balance until you feel comfortable and in control. Improve your streamlining; this can be as simple as swim taller and quieter. Take your time in introducing propulsion skills; initially just focus on working with the water. It works every time and you can sense improvement immediately. TI has taught me the value of purposeful practice – strive to make every swim better than ever before. Make every stroke count. Evaluate both your strokes and your focus after each repeat. The habits TI practice develops can be applied to any endeavor. I look forward to working with all ages and types of swimmers—regular people with a simple desire to enjoy swimming, understand it and feel a sense of purpose and progress. I also look forward to helping young people develop a love of swimming so they’ll want to do it for life. Working alongside Tracey and the TI-UK team, with support from the worldwide TI community, will provide me with the most amazing opportunity to continually learn and improve–a journey I’m indescribably excited about. Showing how far she has progressed in 18 months from survival/windmill stroking, here Tanya demonstrates TI Perpetual Motion Freestyle with Terry Laughlin. Tanya is now coaching with her mentor Tracey Baumann (co-head coach of TI UK) at Swim SolutionS Endless Pool-equipped Swim Studio in Surrey, England. What an inspiring story. More people should take up swimming. It has so many benefits, not to mention it may save your life one day.